Regardless of the industry, "hectic" is a word people frequently use to describe their days. This experience, and associated thought-process, has driven a phenomenon that didn’t even exist two decades ago— “multitasking." The term originated from the early computing era and was popularized in the late 1990s as the world morphed into a 24/7 global culture. Now it's the holidays, and people see "multitasking" as a life saver, a way to get more done in a shorter amount of time as holiday and end-of-year pressures mount. The thing is — and this is backed up by multiple research studies — multitasking is not even possible. Not only that, it can actually interfere with our ability to accomplish tasks efficiently. If you want to go deeper, check out “Small Business Owners: Why Multitasking is Not the Answer,” Jamie’s blog on Equifax Small Business (December 11, 2013). 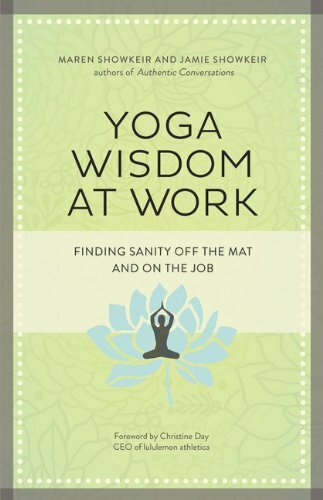 It has tips for retraining your brain and letting go of the multitasking mindset, including using meditation as a way to increase concentration, use time more effectively and generate higher quality outcomes. Once you stop trying to do the impossible, you might find "hectic" can be transformed to "focused, calm and satisfied." Wishing you a wonderful season full of love, gratitude and joy. Look for our newsletters and tips for developing practices for increased satisfaction, success and sanity at work.